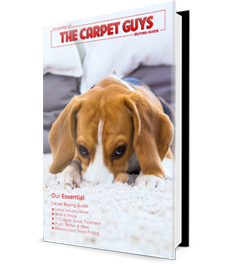 Carpet Guys > Blog > What Type of Flooring is Best for Your Home? Flooring performance is heavily affected by your lifestyle and the amount of traffic your home experiences. So when asking yourself “what type of flooring is best for my house?”, there is a lot you’ll need to consider. We decided to break down each room and list out which flooring will work best according to that specific room. We want you to enjoy selecting your new flooring, so we made it as easy as possible for you. Aside from foot-traffic and activity level, certain flooring types may not work well in every room. Keep this in mind when you begin to explore the flooring options available to you. 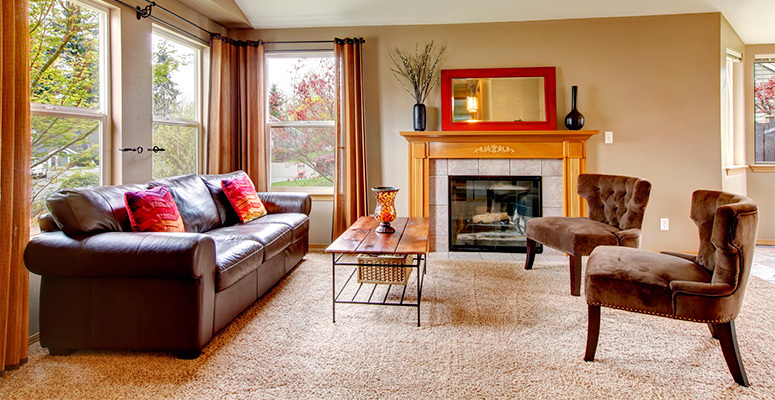 There isn’t really a best flooring for living rooms because of how versatile the area is. This is where you can let your creativity fly and shape the room into what you’d like to see. Have fun as you explore all of the different living room flooring options available to you. The bedroom is your personal space that’s designed for comfort and escape from the world. You’re most likely going to want flooring that accommodates with those characteristics. We typically recommend carpet as the best flooring for bedrooms. It’s comfortable to lounge around on and warm to wake up to. Who wants to wake up, get out bed, and be met by a cold floor? We believe that carpet will be your best flooring decision for bedrooms. What flooring is best for bedrooms in your opinion? When searching for what flooring is best for kitchens, there is one key point you need to keep in mind, and that’s water. Since kitchens seal a lot with water and fluids, a liquid-proof or liquid-resistant type of flooring will do well. We’re not saying that you can’t have solid hardwood flooring in your kitchen, but we recommend other wood-looking alternatives like LVP. This will allow you to get whatever look you want in your kitchen without all the extra problems from moisture. 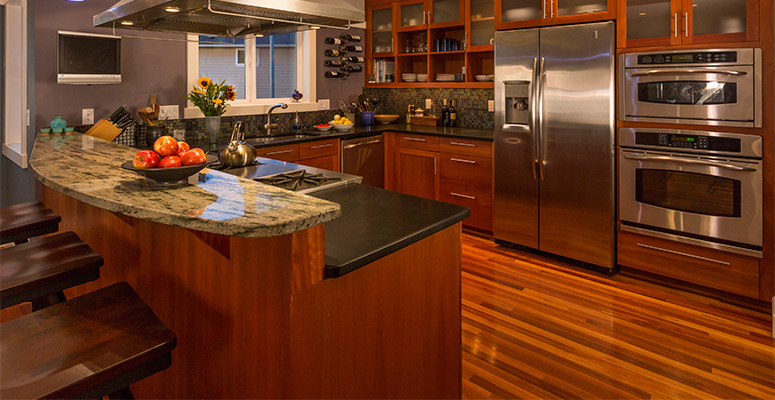 If you really want natural wood flooring in your kitchen, it is doable. Just get a good maintenance routine planned before you get it installed. You’ll need it. Just like kitchens, bathrooms also experience quite a bit of water and moisture. We also recommend vinyl products as well. You’d be surprised how beautiful vinyl flooring can make a bathroom. 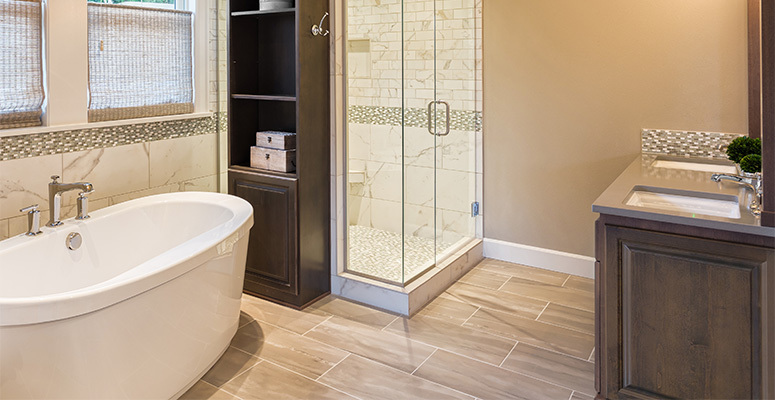 We don’t say vinyl is the best flooring for bathrooms based solely on performance benefits. Vinyl flooring can truly make your bathroom stand out. You can get the same looks we listed above in both your kitchen and bathroom to match if you’d like. The possibilities are endless with vinyl. Out any area in a home, the basement is one of the hardest places to choose flooring for, Mainly because it is so prone to moisture intrusion. No matter what flooring you choose, whether it is waterproof or not, will always fall to ruin if moisture is an issue. We always recommend you make sure moisture is not a problem before we lay flooring down. Protecting your investment is of huge importance. As for flooring types, like kitchens and bathrooms, a luxury vinyl plank or luxury vinyl tile product will be a great fit. If you’d like carpet in your basement, that is also a wonderful selection. At the end of the day, whatever flooring you select in your choice.